But Victor is, by nature, a frugal man who savors quality while enjoying a particular disdain for overindulgence. Coming from St. Petersburg, Russia has made him a practical man. 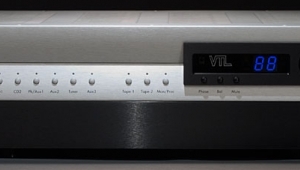 So while a Statement Product in every way, the VK-50SE is also built to a specific price, however lofty, and is meant to compete, Victor assures one and all, with preamps costing quite a bit more. This must be, then, an altogether special beast. With its coolly glowing, blue-vacuum fluorescent display and its array of pushbuttons and ice-blue LED indicators, the VK-50SE's front panel is quite attractive. A contrasting satiny-hued volume knob juts out on the right. There's little to distinguish the new VK-50SE from BAT's other sturdy, well-made source components—except, perhaps, just how ventilated the case is (even so, it still has the heft of milled-from-solid-brick). 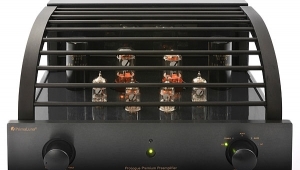 Be sure to give it breathing room—the eight 6H30 tubes glowing brightly within put out a lot of heat. 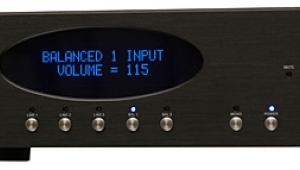 Several key elements of its build quality vault the VK-50SE into super-preamp territory. First, BAT makes use of what they dub the Super-Pak: additional power-supply capacitors double the energy storage over the standard VK-50. This results, they say, in greater dynamic authority and ease in the reproduction of complex musical passages. Then there's the Six-Pak of output capacitors. (Victor must have had a cool beer in hand during key phases of the design process.) 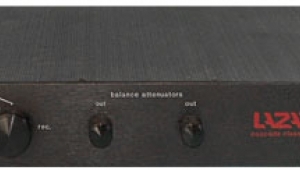 The VK-50SE's unusually high current delivery requires output capacitors of larger value for improved bass performance. Rather than using less expensive polypropylenes, BAT dishes up a Six-Pak of custom oil-filled capacitors for improved sonics and immunity to shock and vibration. "Intelligent" vibration control ties down the resonant nodes on the circuit board to the ½"-thick base plate. Eliminating unsupported spans on the board "dramatically reduces" sound-degrading vibrations. BAT posits that it makes more sense to prevent resonance in key components than to apply damping materials as an afterthought. 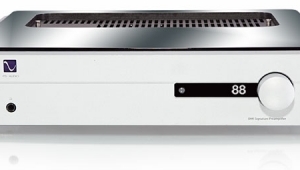 Dual-mono construction minimizes interactions between channels from the get-go. 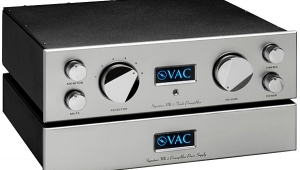 The VK-50SE's power supply begins with a pair of toroidal transformers—one for each channel—custom-designed to handle the larger power demands of the 6H30 "SuperTube." Toroids, by design, reduce stray magnetic fields and lower distortion. They're also placed as far away from the signal path as possible, and their weight is supported by the reinforced front chassis corners to further minimize resonance. The VK-50SE makes use of BAT's next-generation Unistage topology, said to improve power-supply management with higher-spec parts and better circuit layout. This reduces "phase shift, signal coloration, and distortions of multi-stage designs, while suffering none of the lackluster dynamics or component-matching problems common with passive designs." 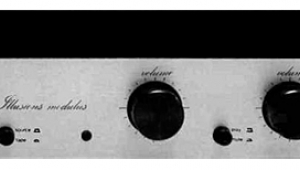 Like BAT preamps of yore, the VK-50SE features a zero-feedback topology. Vishay bulk metal-foil resistors in the plate-loading circuit of the 6H30s improve resolution and lower the noise floor. 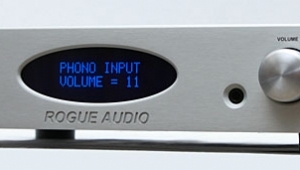 The volume control uses an electronic shunt attenuator that "bleeds" some of the signal to ground. Only a single Vishay resistor per phase winds up in the signal path. With but a single component in series with the signal, the circuit is kept short. 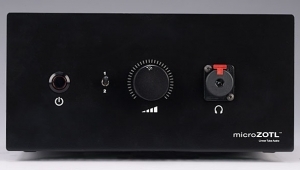 Before the VK-50SE, the BAT preamp I was most familiar with was the sweet-natured VK-5i, now discontinued and replaced by the 6922-based VK-50. The 5i, too, was remote-controlled, if only basically so. 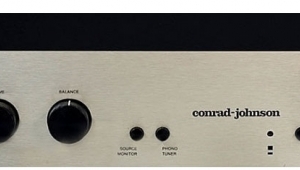 The preamps in the new 50 series (as well as in the rest of BAT's new line, tube and solid-state) carry a well thought-out remote-control interface. 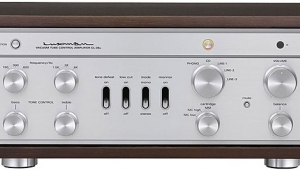 Using the Function button and the selector knob, or via the remote, the user can select from eight programmable functions: balance, relative volume, phase, mono/stereo, maximum volume, fixed volume, display mode, and input name assignment. Names can be up to four characters long and can include Latin, Cyrillic, or Greek characters! This flexible programming facility defines each signal input with a group of user-selectable parameters stored in memory. Each time you select an input, its parameters are loaded into operating memory. 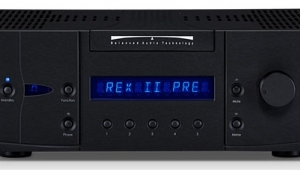 You might set CD for stereo/noninverting and dial in the phono input with more gain and phase inverted. 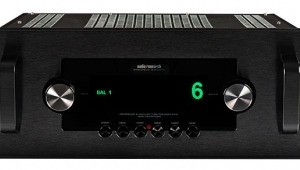 Maximum Allowable Volume functions as a convenient safety net for rowdy audio/video inputs and makes gain-matching a snap. 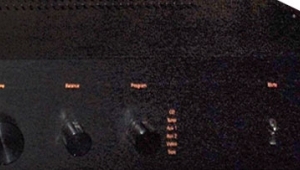 In the display mode, you can switch the volume to read in any of three modes: CNTS (relative counts), DBU (decibels referenced to unity gain), or DBM (decibels referenced to maximum gain). The manual steps the user through the process of selecting settings; even an all-thumbs type like me had no problem. 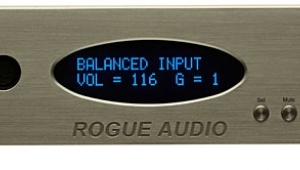 The volume control comprises 140 steps of 0.5dB resolution to give precise, repeatable volume settings—finding just the right level was easy. Pressing the Fade button does a smooth rolldown to mute; touching it again runs the volume up to where you left off. Nice touch. 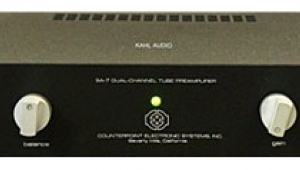 The development of the VK-50SE was closely linked to Balanced Audio Technology's discovery of the Reflector 6H30 SuperTube, until now totally unknown in the West. Produced exclusively for the Soviet military, it was banned from export until the summer of '98, reports Khomenko. As soon as the ban was lifted, BAT parachuted in to obtain exclusive rights to it.